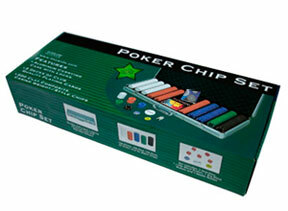 We deal with supplies of Poker Chips, Dice and Poker Chip Sets. Composite Poker Chips available in 11.5gms Casino style quality in 9 different colors, namely: Black, Royal blue, White, Pink, Yellow, Purple, Navy blue, Red and Green. The Poker Chip Set is a full game tool for the real players of the game. 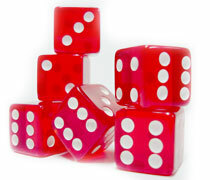 We manufacture dice of all sizes in transparent plastic red color for Casinos.